To date, I have never fund one of these in a Cross shape, especially from Lourdes!!! 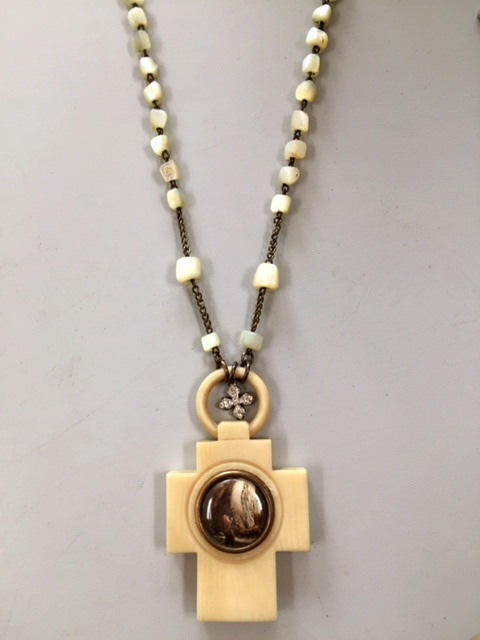 This superb French C1900's Crib Medal with St Bernadette and the Virgin Mary in the grotto at Lourdes has been made into a pendant on original French antique Mother of Pearl Rosary beads completed with etched link chain. This piece was originally A Baby Crib Medal for protection. It is suspended from the original loop and embellished with a Rhinestone Cross. If you cherish Lourdes Mary, this is a must have piece for your collection!!! Could be either worn or placed on the walls of your chateau with other cherished objets de Francais. 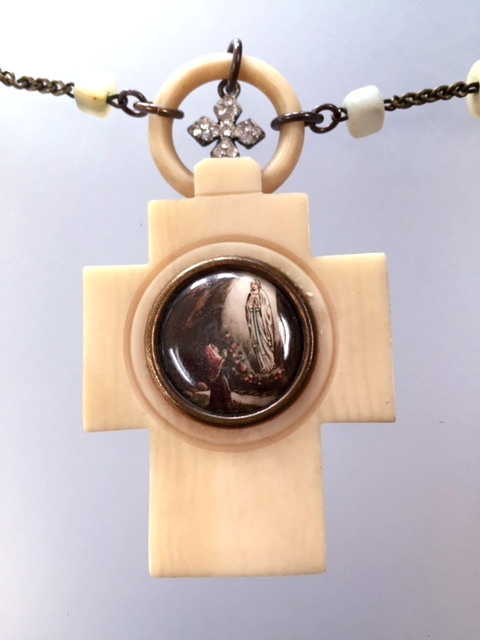 The necklace measures a generous 31", the cross is just over 2" tall.